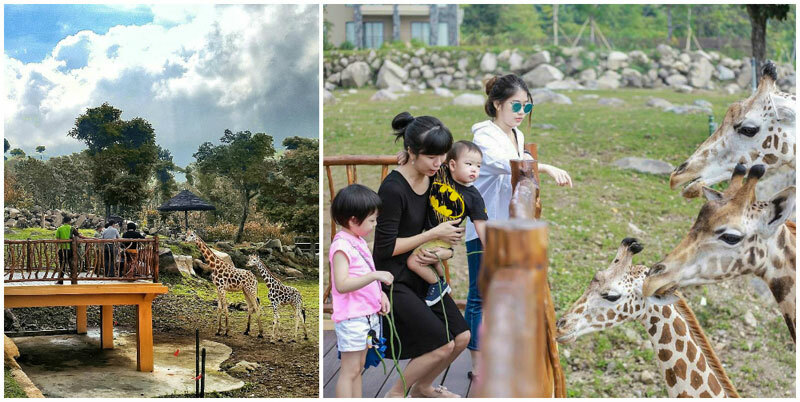 Indonesia > Malang > Sleep with giraffes: 10 Reasons you must visit Baobab Safari Resort with your family! Have you always wished to fulfill your Tarzan or Jungle Book dream? Waking up to the calls of nature, swim up and play with the animals in the wild? 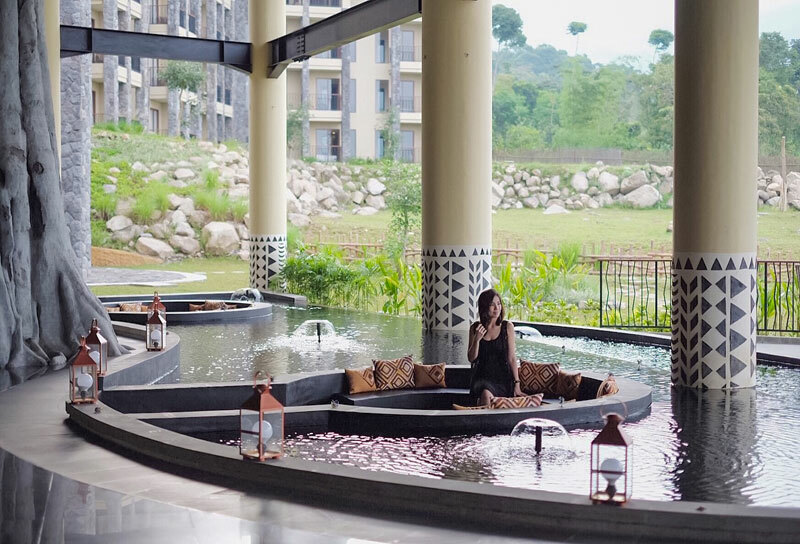 There are many answers to your dream, but few spots in Indonesia can live up to the expectation – until Baobab Safari Resort in Prigen came to life in August 2017. 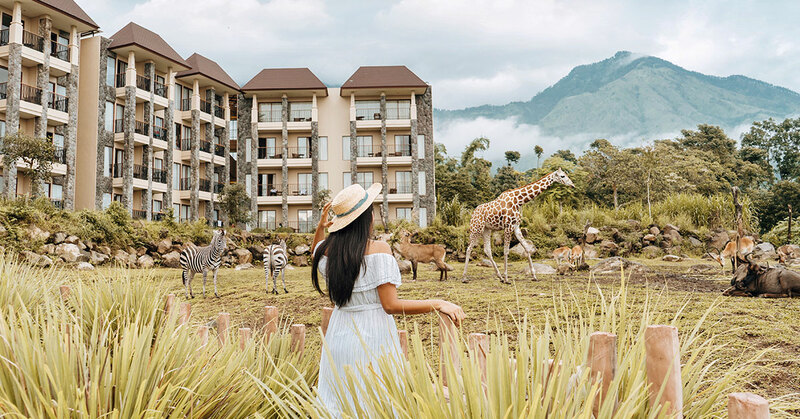 Located in Pasuruan (1.5 hours from Surabaya) in East Java, and right next door to Taman Safari Prigen, Baobab Safari Resort combines an authentic African savannah safari experience with the modern and stylish lifestyle in one perfect accommodation. 13 Cool things to do in Surabaya that will surprise you! Inspired by the indigenous African tree Baobab, this safari resort is designed with the idea of a free-spirited and exotic African savannah safari in mind. Earthy tones, tribal prints and matching interior elements aside, can you imagine waking up to the vast expanse of savannah in front of you? 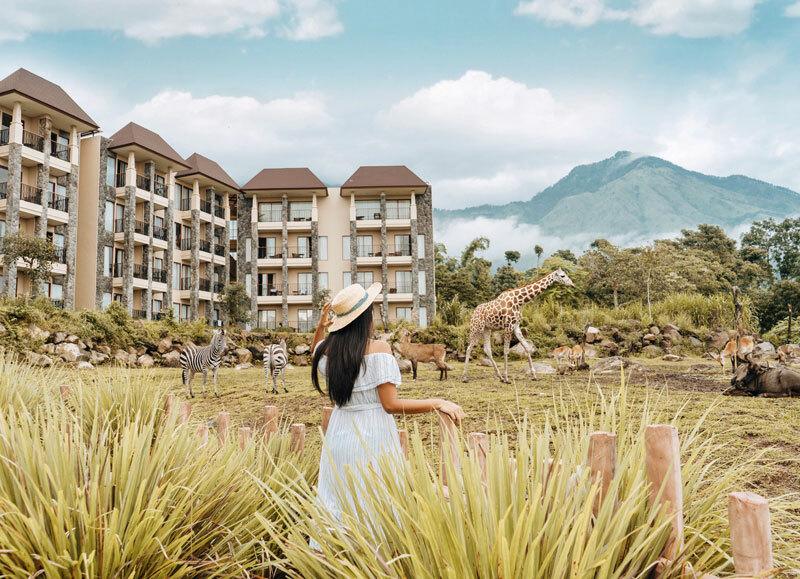 And every day, you can watch savannah animals such as giraffes, zebras, impalas (medium-sized antelopes), buffaloes and wildebeests rising up across the balcony of your cozy hotel. Other than living with and being up close to these gorgeous beasts, the hotel also complements your stay with amazing free programmes, such as live music and storytelling (with a bonfire!). 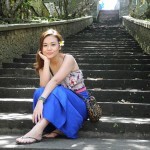 Just as though you are staying in a jungle camp, only more comfortably! The most anticipated programme is the Night Walk – a 30-minute stroll in the evening to witness night creatures in the wild. Equipped with a torch, you’ll get to meet owls, porcupines, and even snakes right on the hill slopes. But don’t worry, a guide will keep your track safe – the kids love it too! 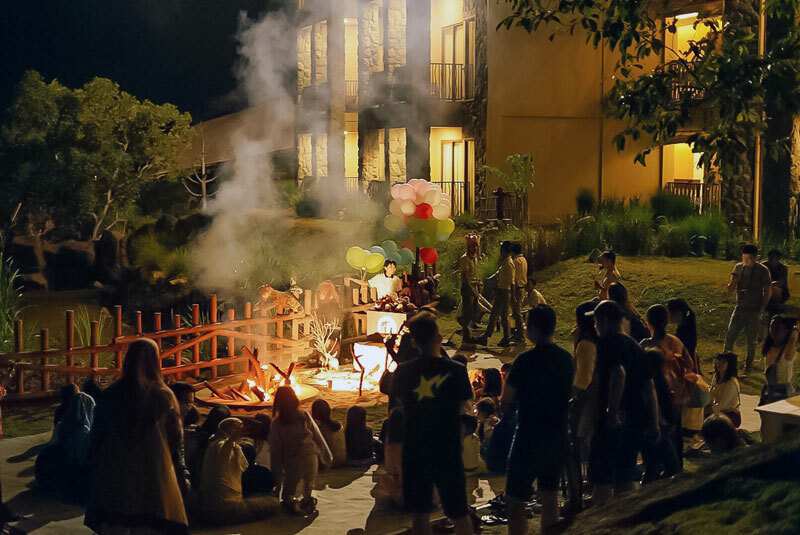 *Programmes such as Night Walk, live music and storytelling are available on Friday nights only. No more rubbing shoulders at the zoo trying to feed these long-necked beauties. At Baobab Safari resort, there’s a special schedule where guests can feed the giraffes – up to 3 times per day! This might be the only time you would be so close to the giraffes’ soft faces, so take your time to admire these gentle giants, their long lashes and gorgeous body prints while they munch happily. And guess what? You don’t have to pay a single cent for this! Besides feeding the giraffes, you can birdwatch too (programme arranged by the hotel)! 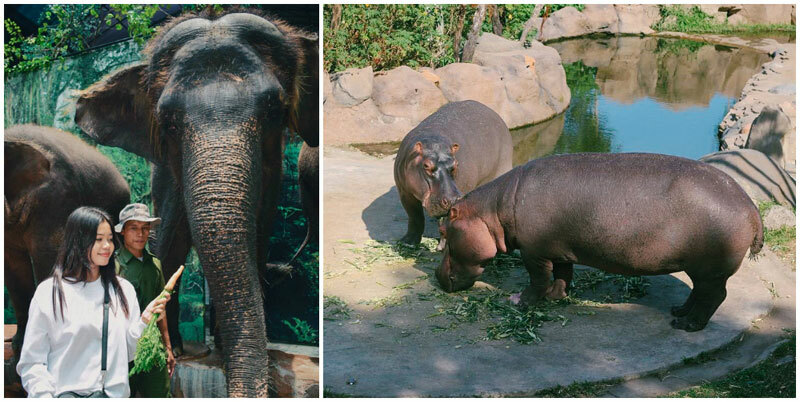 Animal feeding is available every day for resort guests. 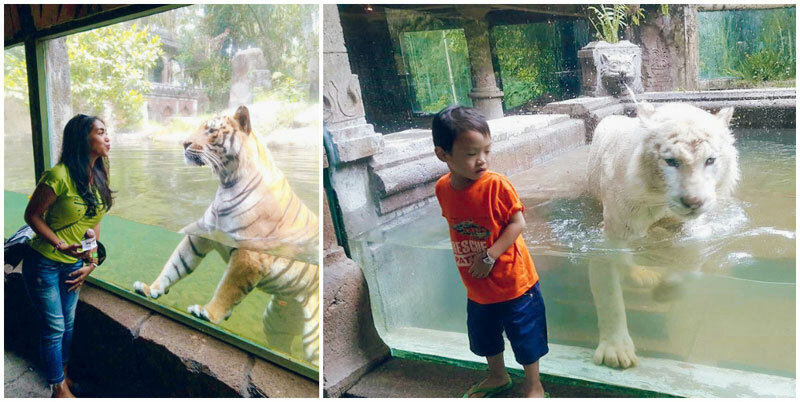 Do you dare to have your meal while three magnificent Bengal tigers stare at you through a glass enclosure? 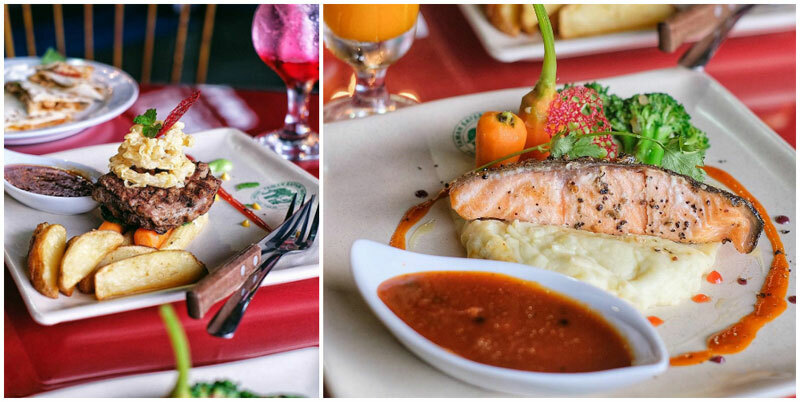 Don’t miss this exotic experience at Tiger Cave restaurant located in Taman Safari Prigen, which is just a 5-minute walk from the resort. 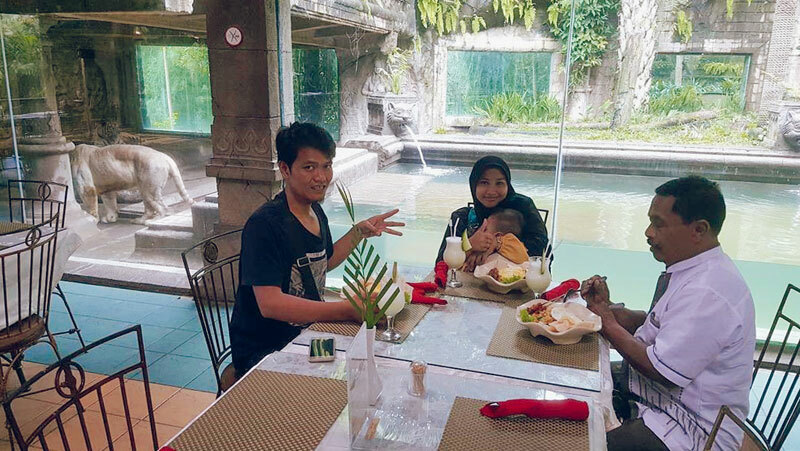 While your waiter serves your oriental or Western menu such as Cream Chicken Corn Soup, Black Pepper Beef Steak, fresh tropical drinks and more, the three carnivores are also enjoying their day behind the glass-walled restaurant. Don’t shudder when the tigers walk right up to your table (almost)! It’s not every day that you can swim up to free-roaming animals from your infinity pool. 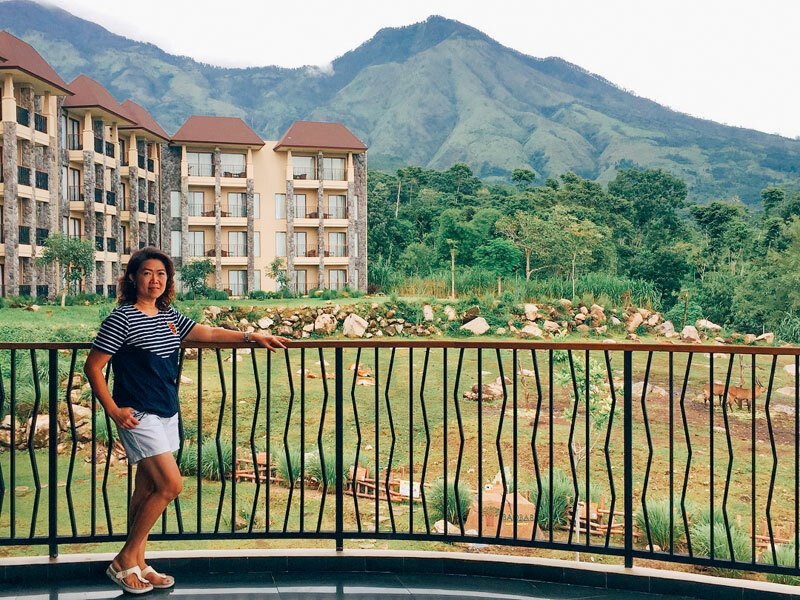 Baobab Safari Resort boasts an excellent infinity pool that overlooks the lush greenery with the silhouette of Mount Arjuno in the background. 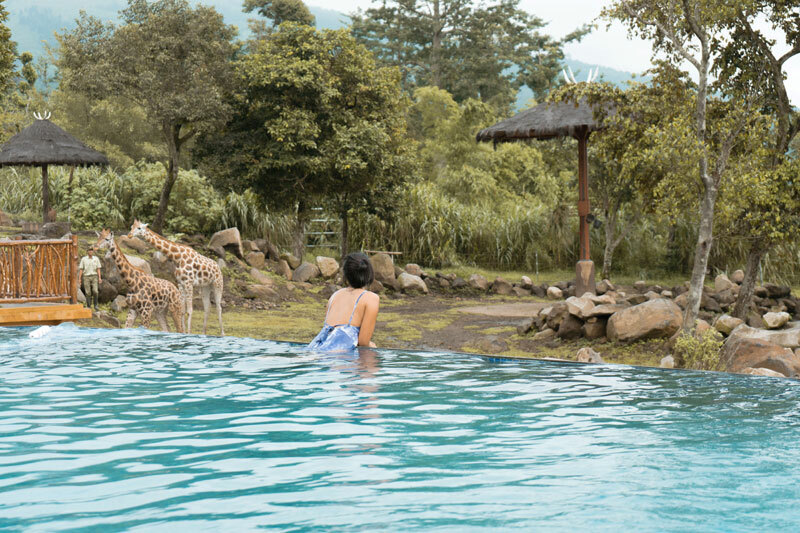 And while you enjoy your refreshing morning soak, watch the giraffes wander and stroll past in the savannah, right in front of you. Decorated with large rocks and verdant green grass on one side, with a wooden platform where you can animal watch on the other, complete with lazy sun chairs for your lounging. You’ll feel like Tarzan, Simba, or even Mowgli for sure! We all love to dine with gorgeous scenic views. But how about dining with views of the animals in the distance? Baobab Resort’s Kilimanjaro restaurant is strategically located next to its swimming pool that overlooks the green savannah where all the animals roam. 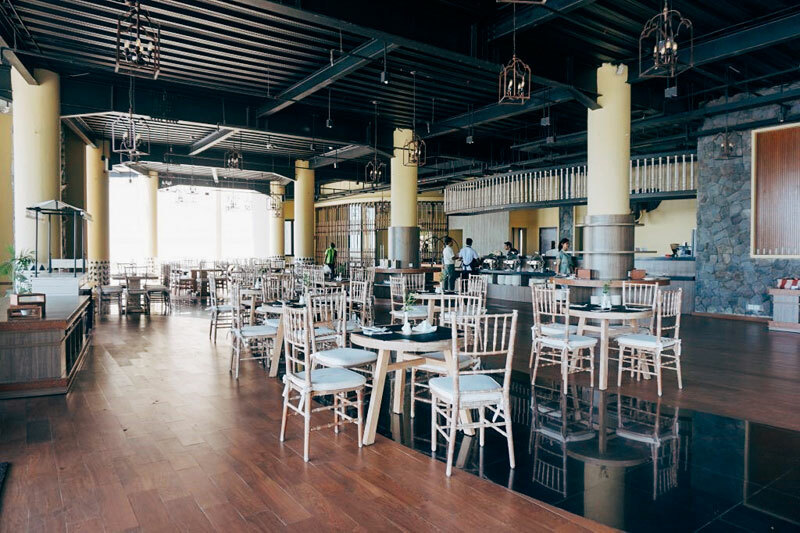 Serving Indonesian and Western cuisine, this restaurant provides and indoor and outdoor spaces, complete with a tantalizing menu. 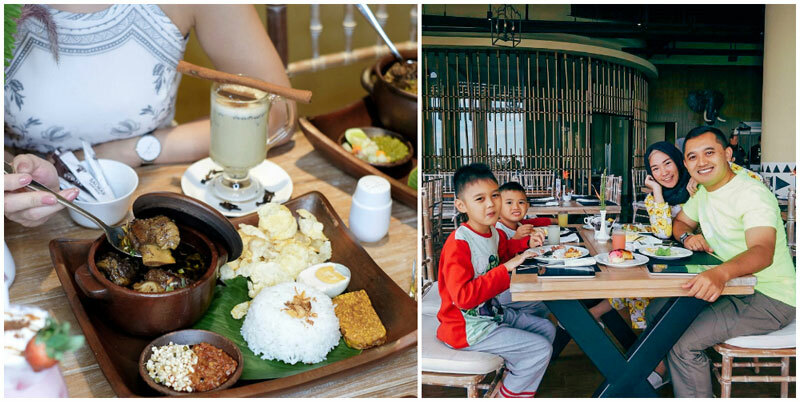 Other than an extensive breakfast buffet spread, enjoy an ala carte menu such as Oxtail Soup Kilimanjaro, Soto set, Nasi Rawon and more. 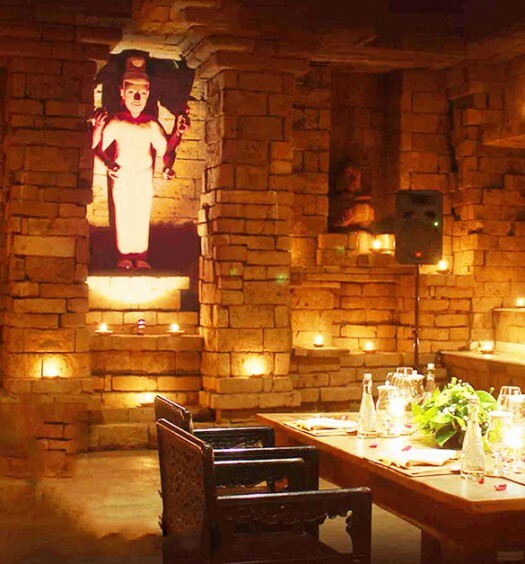 We promise it’s going to be an awe-inspiring and belly-satisfying dining for sure! 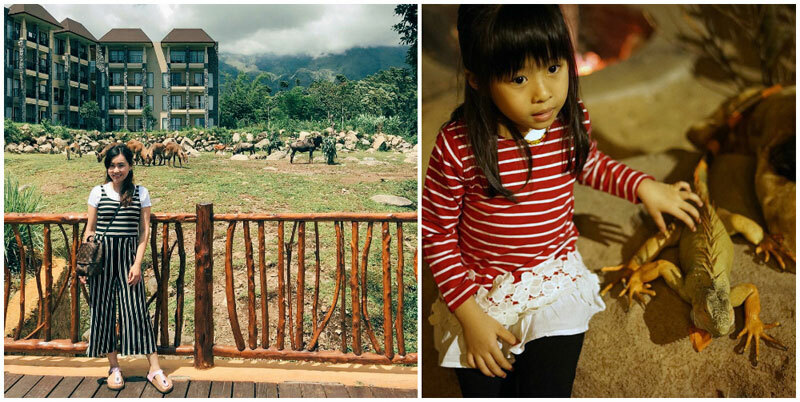 Forget cityscape, we want views of the savannah, hills or garden with animals for a change! Located on the slopes of Mount Arjuno, Baobab Safari Resort has a million-dollar panoramic view. With fresh cool breeze, cloud-speckled blue skies, a magnificent mountain and carpet of green where beautiful animals walk on, this resort’s otherworldly natural atmosphere is the perfect reason for you to hit pause on your hectic life and just relax your soul. Built to complete your Taman Safari Prigen experience, Baobab Safari Resort provides special access to the largest safari in Southeast Asia. 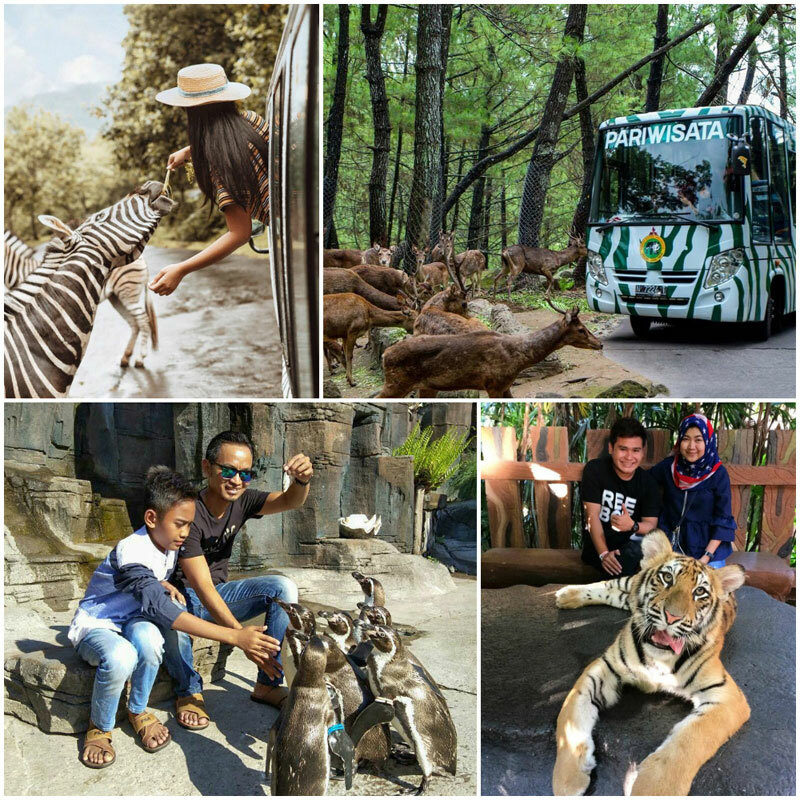 From a collection of over 2,000 animal species that you can check out up close on tours, amazing marine life at Aquatic Land, cute baby animals Baby Zoo to splashing around with waterslides at Safari Water World and more, we strongly recommend Taman Safari Prigen for the entire family. Don’t forget to look out for promos and any special discounts! For guests staying at Baobab Safari Resort, enjoy a 10% discount for Taman Safari Prigen entrance tickets where you can begin your safari adventure! How would you like to pet your own pony? Or let your kids hop onto the cute animals for a quick ride? Baobab Safari Resort is like your personal equestria come alive! 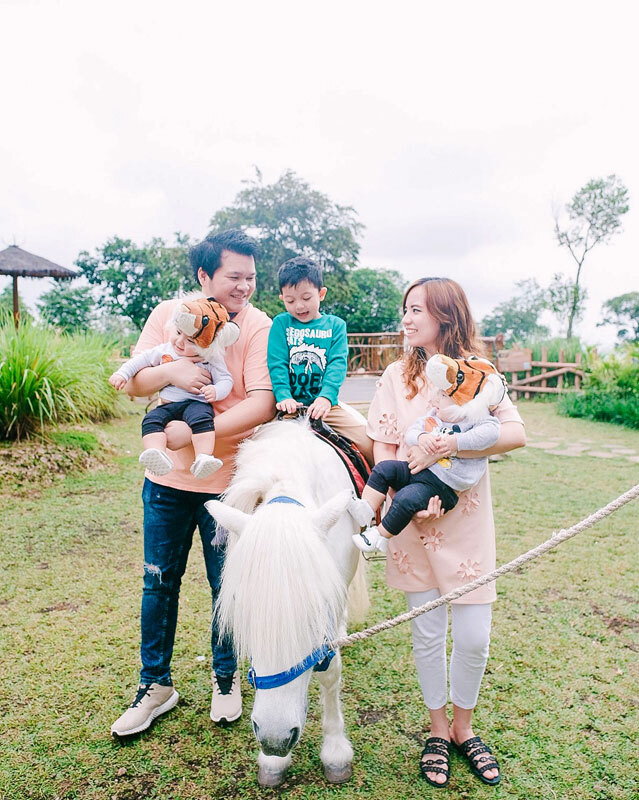 Available for little children, pony riding is one of the most favorite activities that will excite all boys and girls. Just reserve with the front office and your pony will soon arrive for your little one. Won’t it simply make their day? 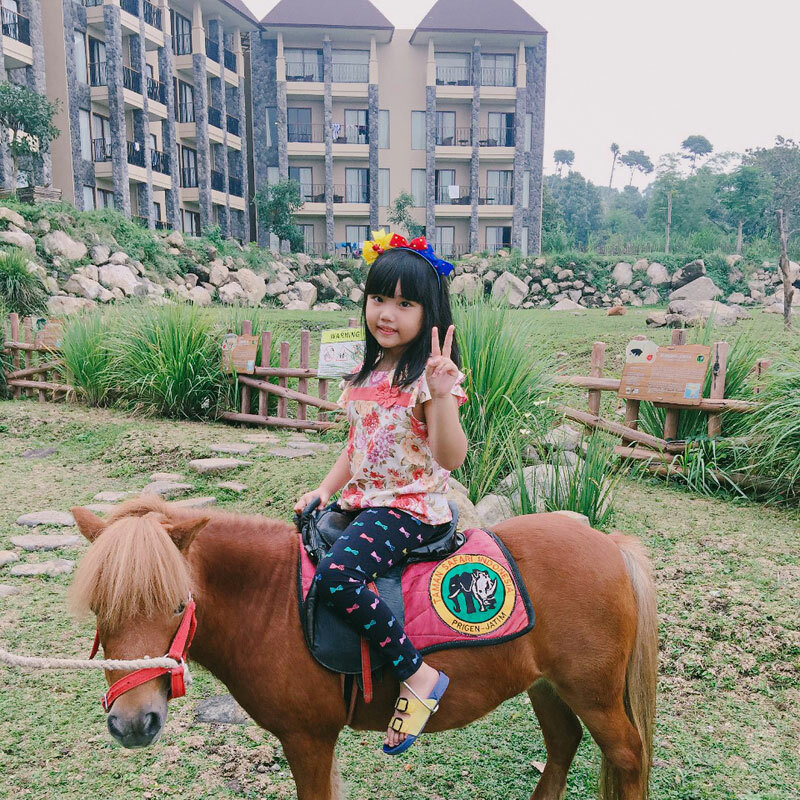 Pony riding fee is Rp 50,000 per round (approximately USD 3.75), and is only available on weekends. 9. 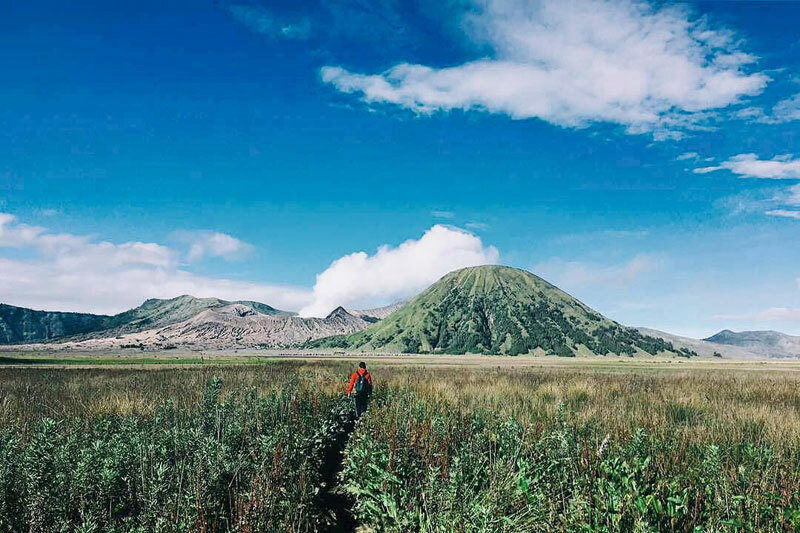 Heading to Bromo from Surabaya? This is the perfect stopover! 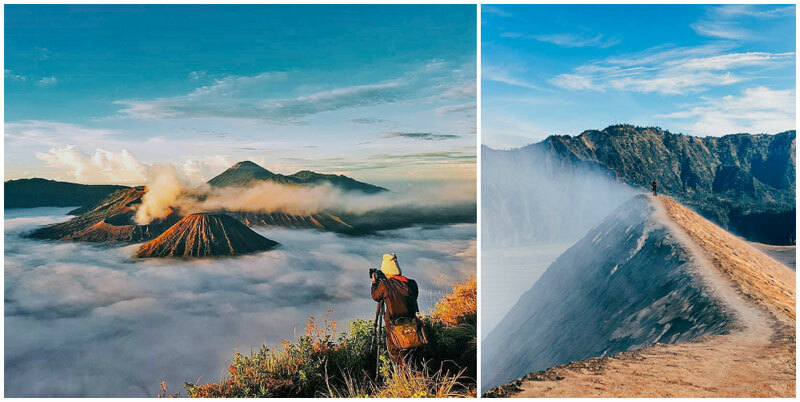 Travelling to Mount Bromo from Surabaya? 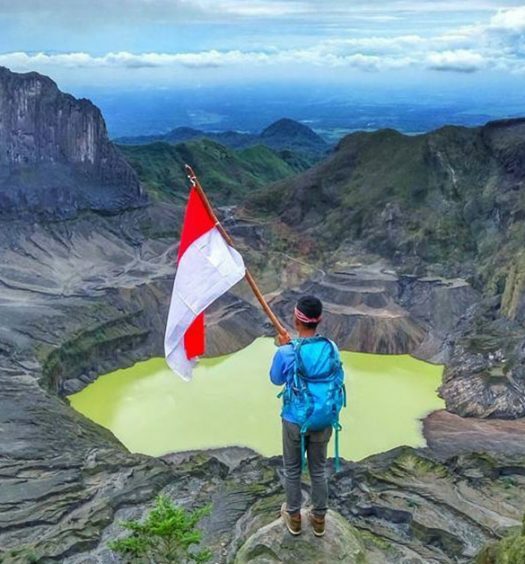 Don’t mind going on an East Java road trip? 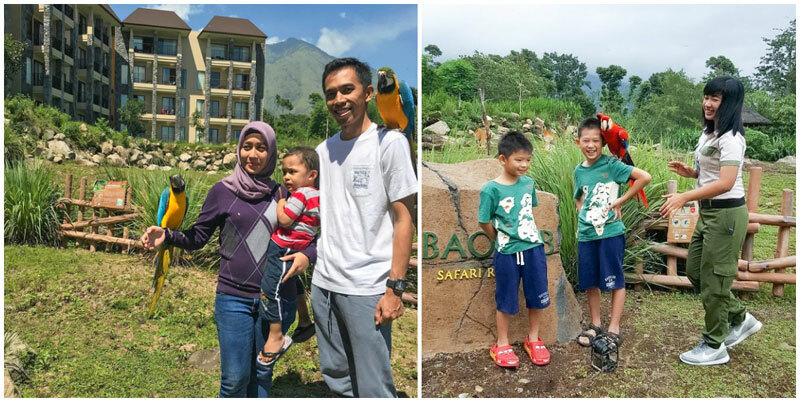 Conveniently located in Pasuruan (1.5 hours from Surabaya), which is enroute to Mount Bromo (2.5 hours away), Baobab Safari Resort is the ideal place for a unique stopover if you have some time to spare! 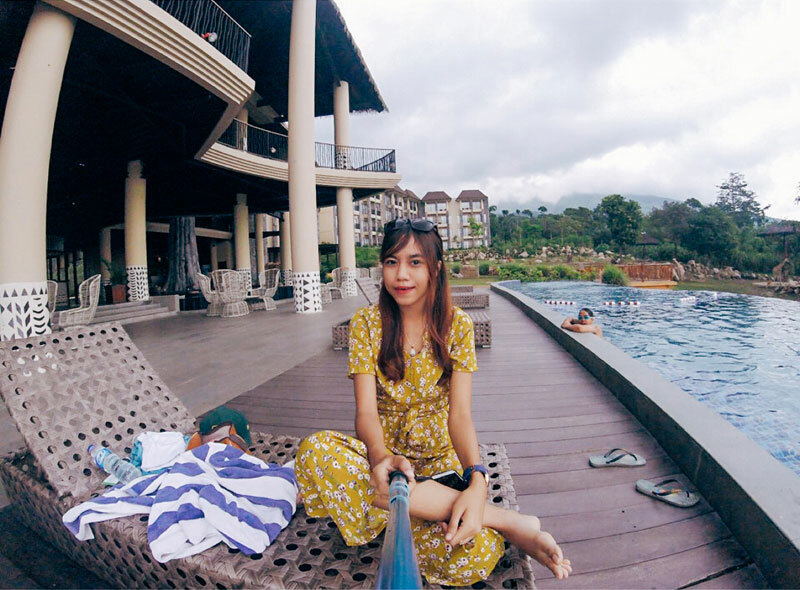 The resort is also only another 1.5 hours away from Malang, another favourite city near Mount Bromo. Much as we love interacting with animals in a safari, what’s most important is that the animals are well taken care of. 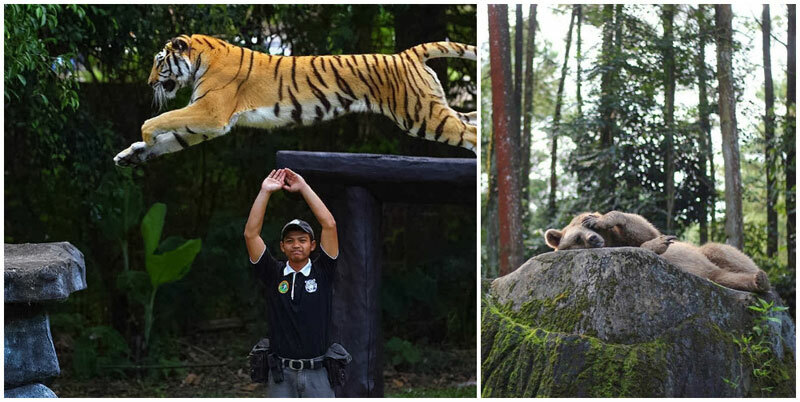 Your adventure at Taman Safari Prigen and Baobab Safari Resort is more than just being entertained, but also about learning about the animals themselves. Take away important messages from Elephant Journey, Swimming with Dolphin, Safari Outbound, and other Animal Education shows. You will also be happy to know that these animals are protected and cared for daily with love. 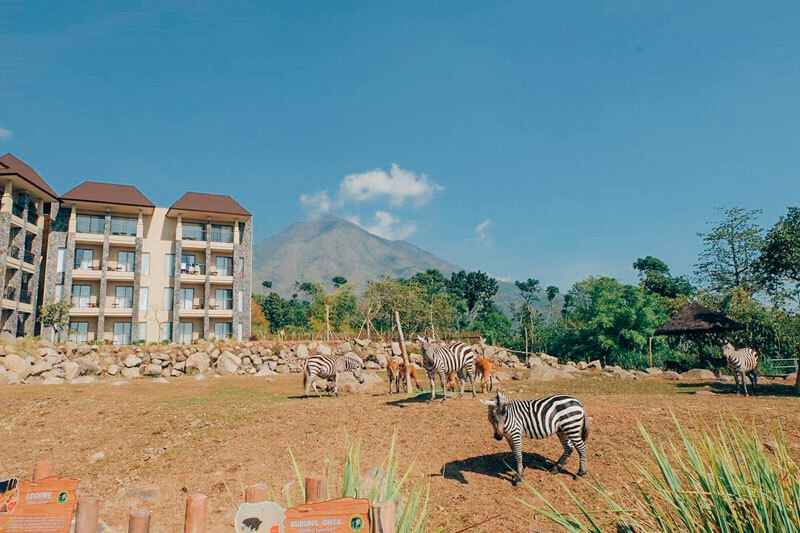 Throughout the years, Taman Safari Prigen has been actively involved in many conservation efforts such as quality cow breeding, recycling elephants waste to be used as natural fertilizer, and harvesting biogas from cow waste. They have also participated in conservation rescue for endangered animals, such as elephants, Bali mynahs, Sumatran tigers, dolphins, and more. 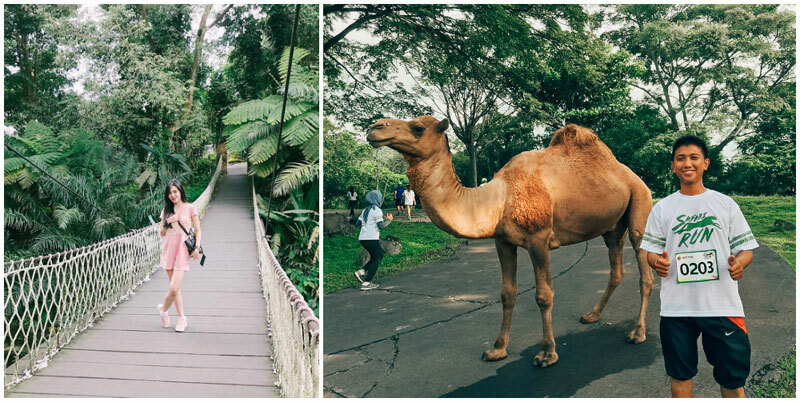 So don’t be surprised to enter either Taman Safari Prigen or Baobab Safari Resort and be greeted with happy and healthy animals. Your companionship is highly awaited! So sleep where the lion sleeps tonight, sleep with your loved ones at Baobab Safari Resort! Not convinced yet? Do comment and share with us what makes your ideal safari resort!